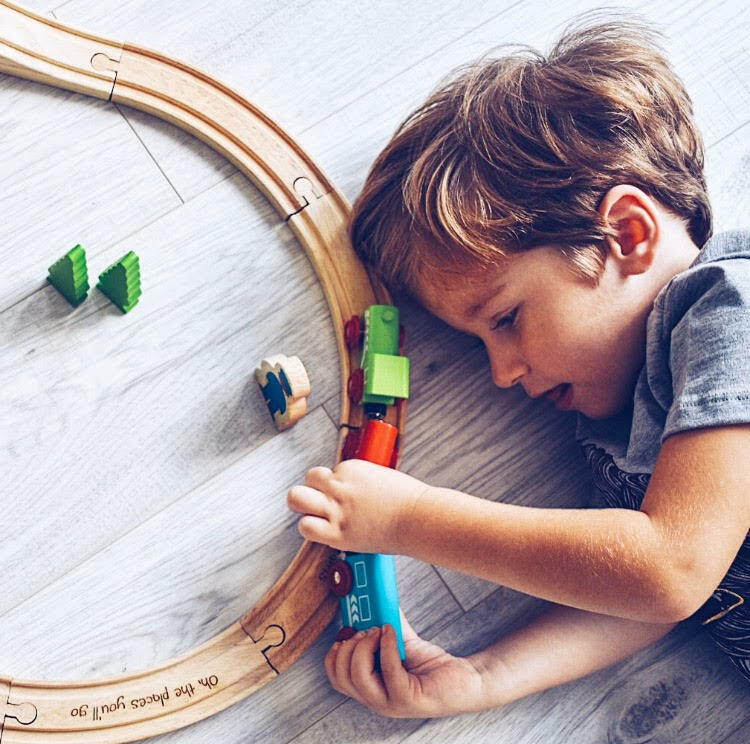 Winner of the Gold Medal in the Best Wooden Toy Category from Toyshop UK, the Figure of Eight Train Set is the ideal first train set for any budding railway enthusiast. 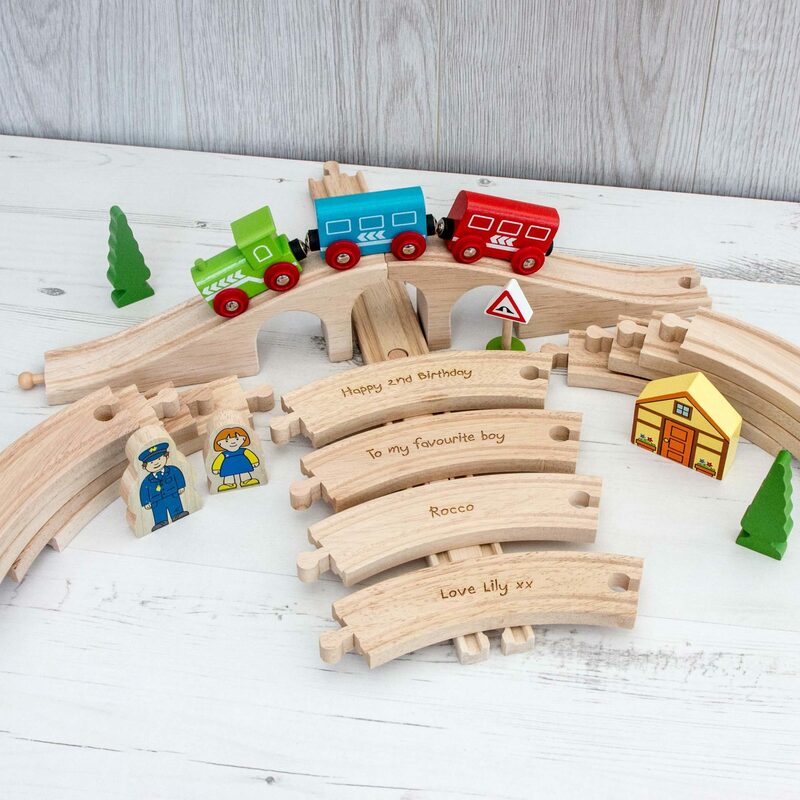 This awesome train set includes high quality wooden track pieces that form the figure of eight layout, a colourful engine with 2 colourful carriages and a variety of accessories. 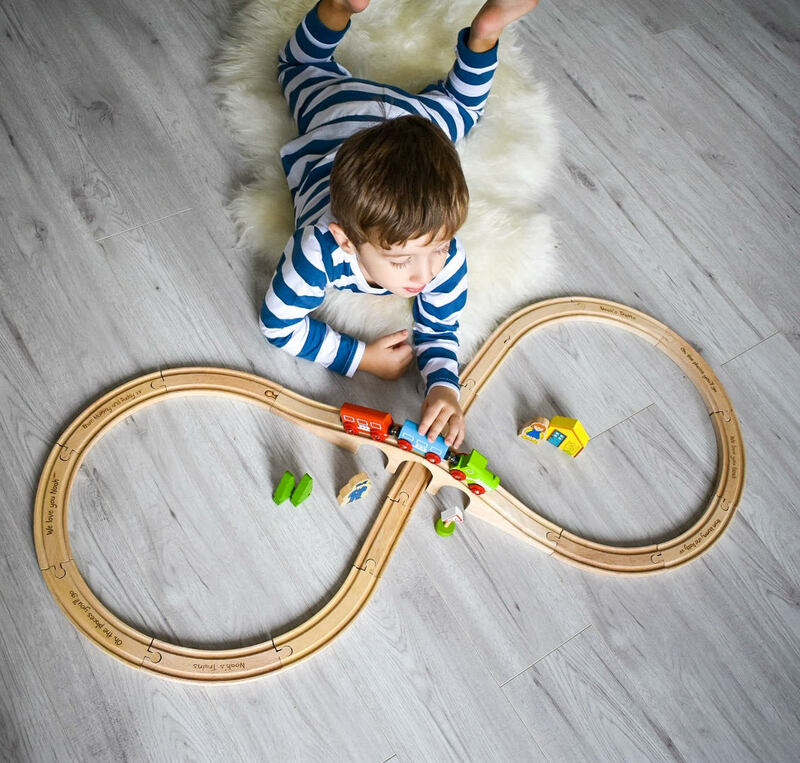 There is plenty of track and accessories to keep young minds occupied for hours! 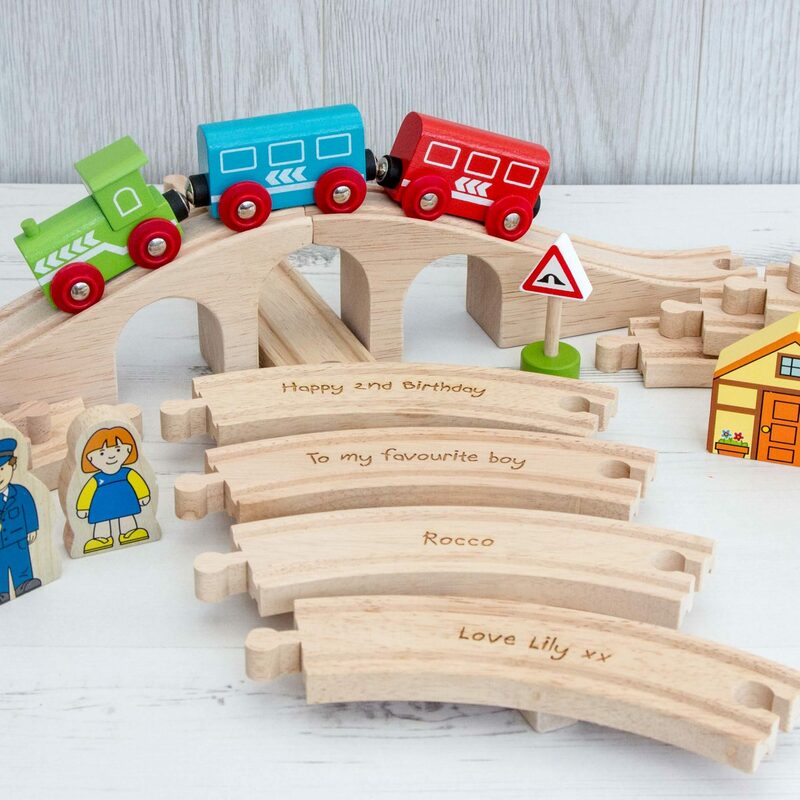 In the figure of eight layout a viaduct crosses over the railway track – trains can chug up the hill and then whizz back down the other side! Magnetic couplings ensure compatibility with all other engines and carriages in the Rail range. Additional accessories are available to expand this set. Most other major wooden railway brands are compatible with Rail. 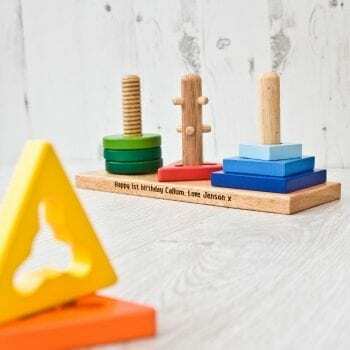 Made from high quality, responsibly sourced materials. 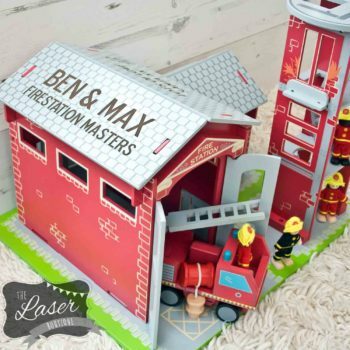 Conforms to current European safety standards. Majority of customers do have the same message engraved on both curves meaning there will be two of each tracks in total. 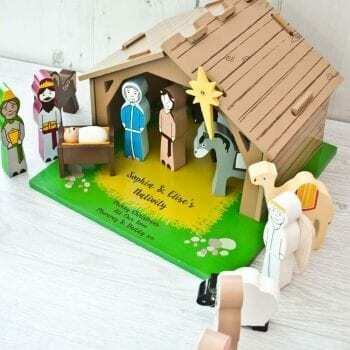 However if you want all Eight engraved then please fill out all boxes. Comes compete in a carry handle box so easy to store.